Pick your own favourite from the variety of cone flowers available. 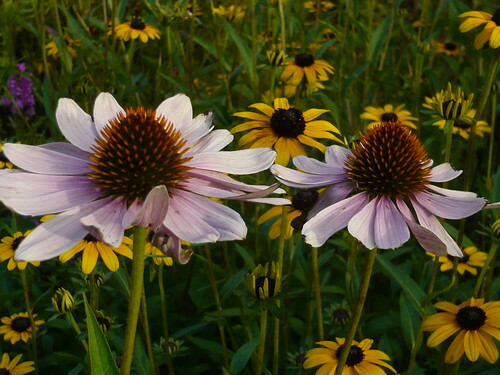 Echinacea purpurea is commonly called the Cone Flower. 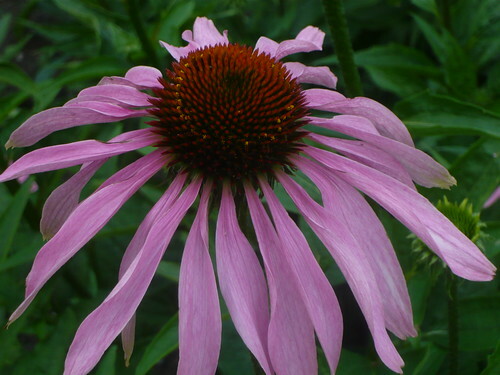 There are other Echinacea varieties that will put on a long lasting and colourful display in your garden. The daisy like flower heads are attractive to insects and butterflies and are available is several warm colours. Echinacea make good cut flowers for the house. Echinacea ‘Tomato Soup’ looks the colour of one of the eponymous Heinz 57 varieties. The hardy plant grows 2-3′ tall and the flowerheads can be 5-6″ across. Flowering from mid-summer they appear on the top of branching stems. Echinacea Tiki Torch grows 3′ tall and has flowers with orange petals in a ray around a prominent orange-red disc. Slightl;y scented the flowers last well and make another addition to a hot border. 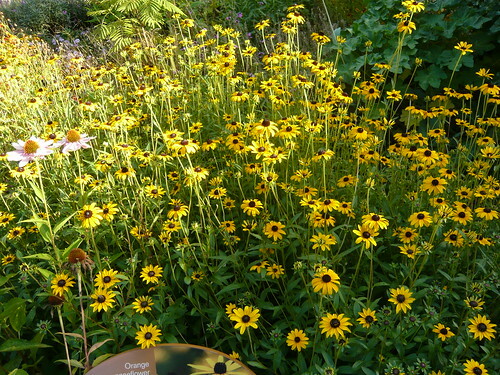 Echinacea Mac ‘n’ Cheese has golden yellow flowerheads from mid-summer until the first frosts if deadheaded regularly.